Coming off a seemingly endless winter, it’s fair to say the whisky cabinet has taken a bit of a battering in early 2018. Dark, cold and unwelcoming nights have seen the increasingly set-in-his-ways old grouch that I am spend much of my time slippered-up, dram in hand, mumbling cantankerously at the state of things. Aside from just sitting there getting increasingly inebriated though, there has been an undisputed positive. I’ve been sampling some new expressions, exploring new distilleries and trying hard to extend my knowledge of Scottish whisky. Every cloud and all that. I’m now ready to share my whisky musings that I’ve been gathering over the last few months and, hopefully, add some value to your own future whisky journeys. Thinking particularly for relative beginners and aspiring whisky enthusiasts, allow me to help you fast-forward through the research and development stages and head straight to the best bits for whisky in 2018…. I’ve long fluctuated quite merrily between Islays and Speysides as my lack of brand loyalty and almost baffling whisky moodiness have sent me swaying up many different paths. Outside of Scotland’s big two whisky regions though, I’ve never strayed particularly far. Exceptions include the delicious Dalwhinnie, the close-to-home Glengoyne and the eternal Scottish go-to, Glenmorangie. But 2018 has seen Tomatin appear properly on my radar for the first time. A classic Highland malt in many ways, a distillery visit a while back was my only real experience of the stuff. A pretty place, it ain’t. But it still left an impression for its hardy, industrial appearance and non-commercial intimacy. With a similar feel to the almost downright ugly Bunnahabhain on Islay I, like many, found myself strangely enamoured with the place. I was recently invited to a sampling of Tomatin’s latest series of expressions, hence my renewed interest in the brand. The limited edition Five Virtues series draws inspiration from the elements of nature – Wood, Fire, Earth, Metal and Water – that constitute a nod to the fundamental elements involved in the process. On offer in this instance was the Water and the Metal expressions. The latter has the classic Bourbon cask attributes with a hint of vanilla and smack of citrus while the former booms out high impact sherry cask. Sherry casks deliver much darker and richer notes to your drinking experience and, if you like Christmas cake, don’t be surprised to find yourself going off on a wee mental wander back to the Christmas dinner table with this guy. The finish is amongst the longest I can recall, leaving you sat there chuffed to bits with yourself for quite some time after each sip. Tomatin sits just outside the Speyside boundary in the Central Highlands. A bit like nearby Dalwhinnie, it has that curious issue of separation from the Speyside marketing allure, yet with the appeal of its own, very distinct, identity. While Speyside whisky generally brings an assuring guarantee of quality and an undoubted status, with over 50 distilleries in a small area you do run the risk of being ‘just another Speyside’. Tomatin proudly dodges that. So, you like it peated do you? The typical loved or loathed addition of peat in malt whisky triggers all sorts of debate. Life-long whisky connoisseurs of my acquaintance will swear by or swear off the stuff in near 50-50 leanings and the only conclusion to be drawn is that it comes down entirely to personal taste. I’m a total oddity in this regard. For some seemingly mental reason, I love whisky both with and without peated interference and have no particularly strong stances on it one way or another. If you’re a complete newbie, there’s only one way to find out and my only advice would be to ease yourself in gently. Don’t go in the deep end, instead dip your toe in one of the more subtle brands and expressions….and have some water standing by. That means staying temporarily clear of the young Laphroaigs and Ardbegs and start with older bottlings or the stuff coming out of the likes of Bowmore, Highland Park or even Arran Distillery’s peated offering, Machie Moor. My top recent tips for the peated stuff though go to the Lagavulin 16 and the Laphroaig Quarter Cask. The former is easy enough to find (generally around £50 a bottle in supermarkets) while the latter may require some online searching (around the £35-40 mark). I remember my first visit to Lagavulin Distillery being dominated by an eccentric local tour guide that was dishing out the expensive stuff like it was water. Rarely in my experience has someone embodied so much about the islands and, despite the fact the tour was around 10am (yes, I was doolally and out of it by lunch), I don’t recall having had a better introduction to a whisky house. The 16 is an outstanding malt that brilliantly covers all of the bases. Peat is there, sure, but so is sweetness and Speyside-esque notes of sherried spices. Quite how they managed to pull all of that off will forever be beyond me. The Laphroaig Quarter Cask is another cracker. Taking inspiration from the shrinking down of casks for more intense maturation, the flavours are smoky, peaty, spicy and nutty all at once. A fiercely full-bodied delivery should make this one of the go-to staples for lovers of Islay malts. I sang the praises of any and all of Speyside’s beauties last year at the Spirit of Speyside Whisky Festival. If there’s a bad Speyside malt, do let me know because I’ve yet to discover it. This year Cardhu, Glenrothes (a surprising one given that it’s most often used in blends) and Macallan have seen plenty of my business. All pretty affordable and with your pick of notes from vanilla, toffee, spices, dried fruit and a hint of citrus, these guys have got it going on. Classy and delicious. Outside of the Speyside triangle though, I’m also very big on Dalmore at the moment. I certainly can’t afford some of the older editions that Dalmore is renowned for, but I’m enjoying a wonderful friendship with the 15. Beautifully dark, heavily sherried and effortlessly smooth I get lots of almost sour citrus creeping in as well as the expected sweet and spicy combo of flavours wrestling for dominance. Again, expect to typically pay around £50 for a bottle – making it un-prohibitive but still something of a special occasion dram for most of us. There you have my top tips for whisky in 2018! 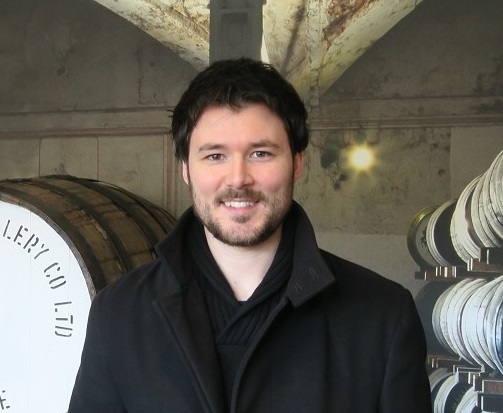 In what is an ever-changing journey and education for every single one of us, hopefully there’s enough in there to get would-be whisky fans enticed. Have you tried any of my suggestions? Better still, are you curious about whisky but would like some guidance on where to make a start? Fire away, I’m here to help. Just don’t expect a short answer.